Last fall, Mrs. Lindsay Binder, Speech and Language Pathologist, was one of 200 statewide grant recipients of the Fiesta Bowl Charities Wishes for Teachers and received $5,000 to spend in the classroom. 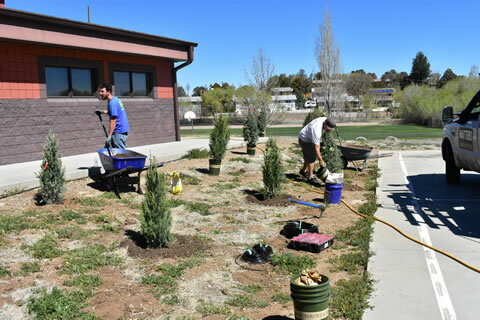 With the money, she was able to purchase new speech tests and materials, but also wanted to use part of the money to give back to the Taylor Hicks campus by having trees and bushes planted. Mrs. Binder worked closely with Watters Garden Center (she says they are beyond amazing!) 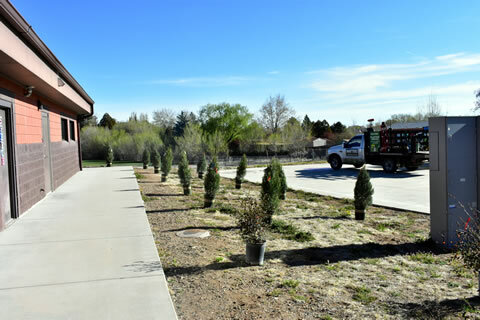 and was able to purchase 12 trees and 6 bushes to plant on campus outside of the art, music, and speech rooms. The area was just dirt and weeds and didn’t provide much shade or privacy from the neighborhood, so it was a great place to add some beauty. 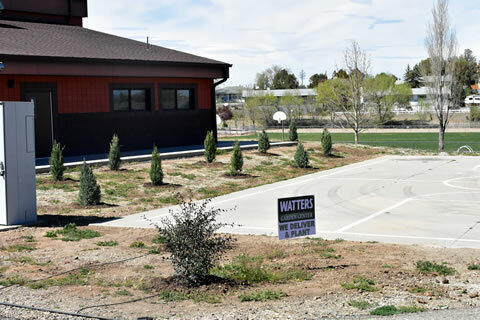 Mrs. Binder, a talented gardener, planned to install the irrigation system herself, but Watters Garden Center surprised her and installed it for the school! 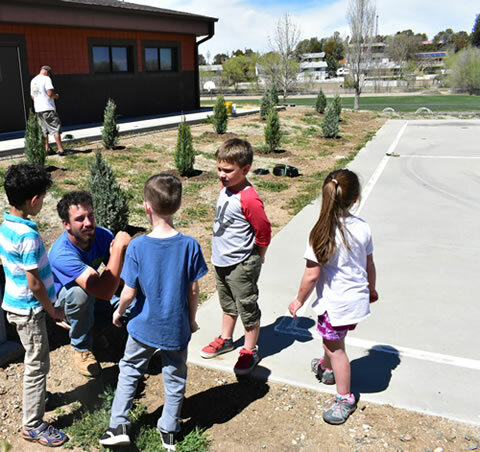 Come to Taylor Hicks Elementary School and see the beautiful new trees. They look awesome! A big thank you to our community partners who make education everyone’s business and help support Every Child, Every Day in Prescott!